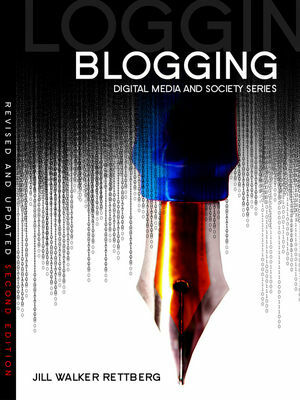 I recently finished writing a chapter for The Sage Handbook of Social Media, which is being edited by Jean Burgess, Alice Marwick and Thomas Poell. My chapter is about self-representations in social media, like blogs and selfies and such, but in the table of contents, the editors put the title as “Self-presentations in social media.” Presentation, not representation. Uh oh. What, exactly, is the difference, I wondered? I have always preferred to use representation, because my background is in literary studies, art history and media studies, where we are taught to analyse representations. Representations are constructed. They are not authentic or unmediated or objective, and I like that assumption. But many scholars who study digital media prefer to think about presentation. The most popular image on Instagram, with 3.2 million likes. Posted by Kendall Jenner in May 2015. This is the most popular image on Instagram. Ever. It was posted by Kendall Jenner in May 2015. It shows Jenner herself, and although it is obviously not a selfie, it was posted by her to her own Instagram account and so is certainly a form of self-representation. I ended up spending quite a while reading and thinking about the differences between representations and presentations, and Jenner’s image became a bit of a catalyst for that. Here is what I ended up writing about the two terms?—?and yes, it includes a semiotic analysis of Jenner’s image. How could I not? But I don’t watch the Kardashians, and I don’t know all the backstory here. I expect I missed a lot. I’d really appreciate it if you share any extra knowledge you have!! But here is what I wrote about what I think the difference is between representation and presentation. Before discussing visual, written and quantitative kinds of self-representation in social media, we need to think about the term representation. Why are these forms of self-expression representations and not presentations? The short answer is that the two terms provide two different ways of looking at this phenomenon. A representation is an object, a sign that is seen as constructed in some way, and that stands instead of an object to which it refers. Talking about representations lets us analyse the selfie, the tweet or the graph of a run. A presentation is an act, something that a person does, so talking about presentations allows us to analyse the way that the person acts to present themselves. It’s a little more complicated than this, unfortunately. The terms representation and presentation are used differently in different disciplines, making their use quite complicated in an interdisciplinary field such as internet studies. Twentieth century linguistics, with influential scholars like Saussure and Pierce, led to the semiotic understanding of representation as a system of signs, that is, sounds, words, images or objects that stand instead of a concept or an object. For instance, the word ‘tree’ is a sign that refers to an actual tree. The word or sign is the signifier and the object the sign refers to is the signified. My comp.lit. professors in the 90s preferred the French designations, signifiant and signifié, and wrote the abbreviations sa and sé all over the blackboard. For some reason, there were a great many opportunities for them to use these terms. Probably contemporary comparative literature students are not as deluged with sa and sé as I was. Thank you to nuctutor for this image. As Stuart Hall explains in his textbook Representation, scholars see representations as culturally constructed (Hall 1997). Hall describes three theories of representation: reflective, intentional and constructive. In the reflective approach, the sign or the representation is thought of as a reflection of reality: ‘language functions like a mirror, to reflect the true meaning as it already exists in the world’ (24). In the intentional approach, one assumes that ‘Words mean what the author intends they should mean’ (25). However, both these theories are seen as flawed by most contemporary scholars, Hall included. Most scholars today see representation as constructed. Representations can have different meanings in different cultures and in different contexts. For instance, a selfie shared on a private Instagram account to a group of friends will likely be interpreted differently from a similiar image published in a newspaper. The most liked image on Instagram in 2015 was a photo of Kendall Jenner lying on the floor in a white, lacy dress with her hair spread around her arranged into seven heart-shapes. In semiotic terms, this is the denotation of the image: what is shown or the literal meaning of the sign. I know I already showed you this image. Here it is again. Jenner’s photo is obviously not a selfie, as her hands are visible in the frame, folded over her stomach as though she is laid out like a corpse. She couldn’t have arranged her hair herself, either. The image can still be seen as a self-representation: deliberately staged, photographed, and posted to her Instagram account, where it gained over 3.2 million likes. Being so clearly staged, Jenner’s image provides us with plenty of signs to analyse, and the most interesting semotic analysis is not with the descriptive analysis of the denotation of the signs, but of their connotations. Connotations are common associations connected to a sign, not private associations that only one individual might have, but associations and references that are shared by larger cultures or groups. Jenner’s image has some very obvious signs with well-established meanings or connotations in our culture.The hearts that her hair has been shaped into connote love. Her white lacy dress signifies a bride, which again signifies love, and, in a traditional sense, new, virginal but soon-to-be-consummated love in particular. The traditional wedding dress is white because white stands for innocence in Western culture. Jenner is laid out like a corpse, with her hands folded as is traditional in Western funerals, and her eyes are closed. The floor is white with a black graphic pattern and could be interpreted as suggesting a river, although this is not an interpretation I would have arrived at had not the dead maiden with her outswept hair made me think of Ophelia, the girl who loved Hamlet and drowned herself. Ophelia by John Everett Millais (1852). The image is in the public domain and the original is in the Tate Gallery collection. Paintings of Ophelia usually show her hair floating out in the water she lies in, and her dress is often shown as white. Jenner’s photo is an example of the way that death is frequently aestheticized in Western visual culture, and we could certainly take the analysis of the image much further by thinking about why a photo showing Jenner as a dead virgin is the most liked photograph on Instagram. A semiotic analysis always begins, though, by studying the image or the text itself and considering what signs it consists of and what those signs signify. 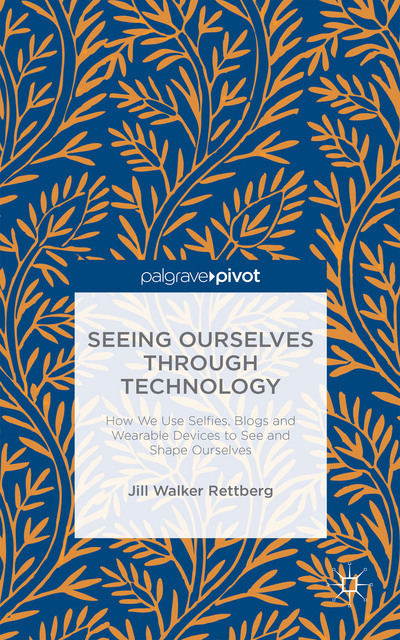 Seeing selfies and blogposts as representations is something that makes sense if you are considering them as texts to be interpreted or from the point of view of media studies. Another important theoretical tradition has its roots with the sociologist Erving Goffman, whose classic book The Presentation of Self in Everyday Life (1959) is heavily referenced in scholarship about social media. Goffman wrote about the way in which we perform differently and thus present ourselves differently to different people and in different contexts. In social media, it is difficult if not impossible to keep different audiences separate. On Facebook, a typical user will be friends with close family, high school classmates, co-workers and distant relatives. Goffman describes how we perform differently in face to face interactions with these different groups of people, but in social media, it is often impossible to keep those contexts separate from each other. danah boyd calls this ‘context collision’ (boyd 2011). If we were to analyse Jenner’s image as a presentation, rather than as a representation, we would focus less on its status as a set of signs, and more on the role Jenner was performing by posting this image, perhaps considering questions such as who the image was intended for, where and when it was posted, what responses it was met with and Jenner’s motivations for creating and sharing the image. One approach would be to interview Jenner herself and perhaps also people who had seen, commented on or reposted the image, but it would also be possible to learn a lot from the image itself, from studying Jenner’s other posts and from examining the comments and the contexts in which the image was republished or discussed. We might compare the image to other images posted by non-celebrities, or perhaps we might find a surge of homage images copying or playing upon the Jenner image. Often ethnographers and sociologists want to learn about practice across a group of people, and so a study of self-presentation rather than self-representation on Instagram might explore how users typically create and share images rather than focusing on individual examples like Jenner’s image. Other scholars simply don’t use the terms, like Katie Warfield, who prefers a phenomenological approach, arguing that focusing on the visual artifact of a selfie often means ‘neglecting the fleshy producer of the image, who in the case of selfies, is also the heart of the image’ (Warfield 2015). Presentation and representation are also used in different ways than those I have just described. Aristotle wrote about representation as mimesis, that is, an attempt to realistically mimic the world. In theatre, some critics use the term representational acting to describe the ‘naturalistic’ form of theatre where actors do not acknowledge the presence of the audience. In this style of acting, there is an imagined ‘fourth wall’ between the actors on stage and the audience, and audience members are like flies on the wall observing the action. In presentational acting, on the other hand, actors acknowledge the audience and speak directly to them (Bakshy 1923, 12). Often these modes of acting overlap, as in literature, where the narrator may invoke the ‘dear reader’ at times while at other times telling the story with no overt acknowledgement of any reader. An almost opposite use is found in the field of interpersonal communication, where John Fiske explains that representational codes produce a text that can stand alone, whereas presentational codes are indexical and cannot “stand for something apart from themselves and their encoder,” that is the person who spoke or communicated (Fiske 2010). Ultimately there isn’t necessarily any strict difference between the terms representation and presentation as they are used in scholarship on social media. In practice, most analyses will really view the material from both perspectives. In this chapter, I will primarily consider expressions of the self in social media as representations, but I use the term fairly broadly. The editors said it was fine for me to change the title of my chapter to “Self-representations in social media.” So I did. I would love to hear your opinions, though. Does this match your take on the ways that presentation and representation are used in scholarship? 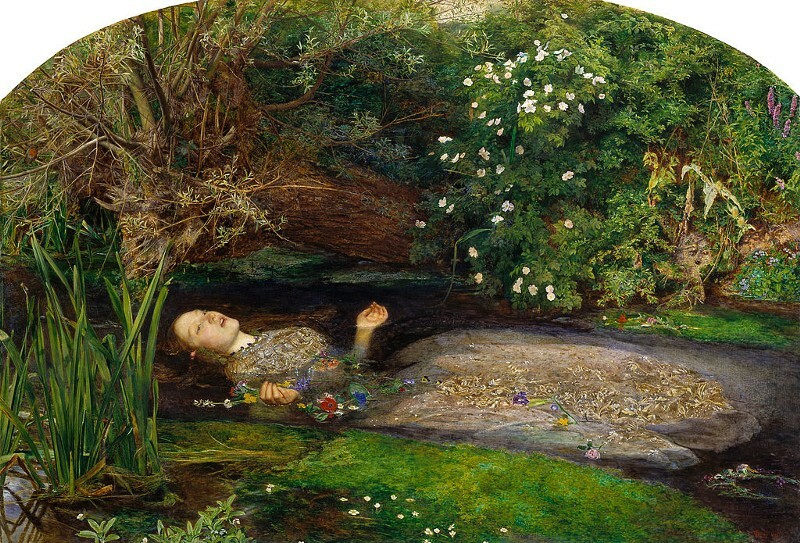 And what is the real background for Jenner’s Ophelia photograph?